To further delve into the vast world of art, artists are combining biotechnology and art to create new and exciting art forms. This is not only a new art form, is it is a way to answer questions about human biology and the world around us. By experimenting with biotechnology and art, scientists can learn more about the interactions between the two and discover more about the nature of life. Around the world artists are stepping into the lab to experiment with biotechnology. An example of this art in Australia is an exhibit titled “MEART”. This “semi living artist” is made up of brain cells from a rat that are grown over a grid of electrodes and a robotic drawing arm. These two parts of MEART make up its brain and body. They communicate through the Internet to draw in two-dimensional. 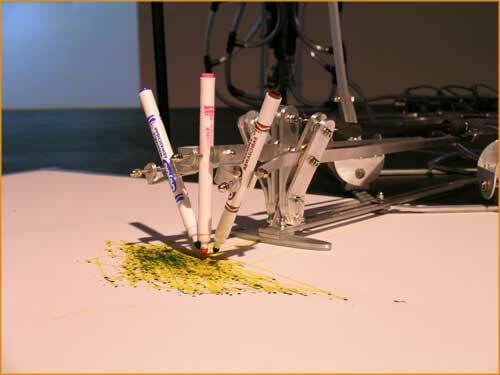 This project focuses on the possibilities of artificial intelligence that artists still have much more to learn about. Another example of biotechnology combining with art can be seen the Museum of Modern Art in New York. One of the recent projects was called “Victimless Leather”. This project seemed like a really far-out idea to me. It was a small jacket made of live mouth tissue. The tissue remained living because it was stored in a glass ball with a controlled environment. However, the project went haywire when the cells began to reproduce more than expected. The project was looking for answers in regards to how humans can control other life forms. Even though the project had to be shut down, it helped scientists to gain further insight into their powers towards affecting living organisms. It’s exciting to hear about all of these projects and the future that biotechnology and art holds for human evolution. Delgado, Rick. "How Artists Are Blending Biotechnology And Art." Make Use Of. N.p., n.d. Web. Kelty, Chris. "Meanings of Participation: Outlaw Biology?" Course Login. N.p., n.d. Web. 08 May 2016. Vesna, Victoria. "Biotech intro NEW." YouTube. YouTube, 21 Apr. 2012. Web. 8 May. Levy, Ellen. "Defining Life: Artists Challenge Conventional Classification." Course Login. N.p., n.d. Web. 08 May 2016. This “Victimless Leather” project sounds fascinating despite it was forced to be shut down! I like the way it investigates into human tissue in a controlled environment,. I agree that this project enables scientists and artists to look further into living organism! 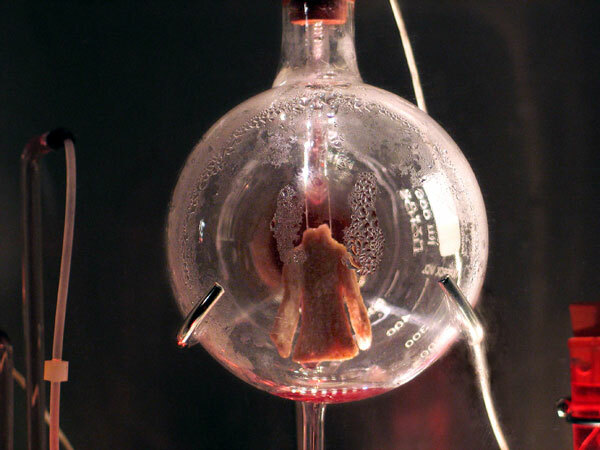 I believe that this is an interesting interaction of BioArt.